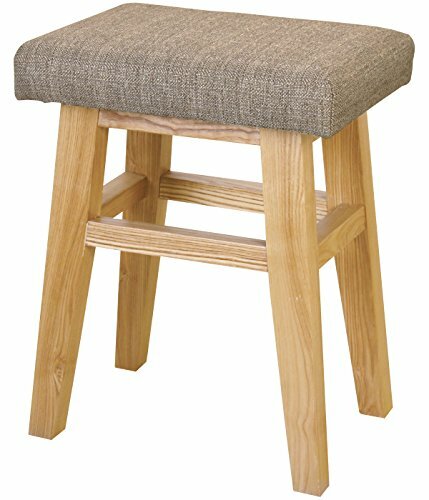 This Home Wooden Low Stool is convenient to use and satisfied with Textile Seat, Made of a high quality natural Ash Wood. *Product size: Length: 14.2" Width: 10.2" Height: 17.7" (Seat Height: 17.7") *Package size: Length: 14.5" Width: 10.5" Height: 18.9" (Inches) *Product Weight: 6.6 LB *Maximum Load Weight: 185 LB *This product is already assembled. Product origin: Made in China. Product quality control: by Azumaya Japan.